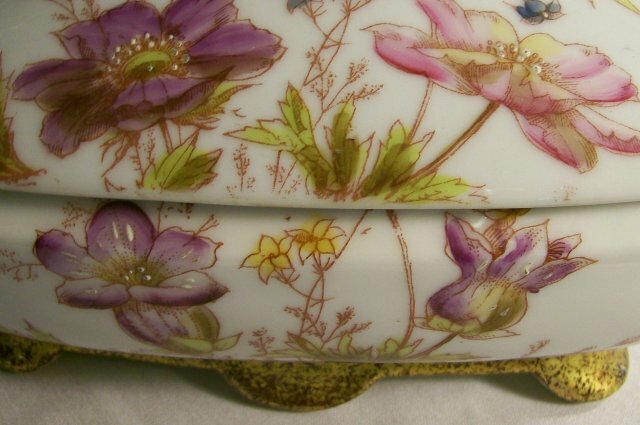 Oscar & Edgar Gutherz, an Austrian manufacturer of fine porcelain, had a studio in Limoges, France. This covered bowl bears their mark, and dates to the 1880's-90's. Hand-painted over stencil, gold sponging over burgundy glaze on the foot and handles. Measures 8" square, 10" handle to handle, 5" overall height. 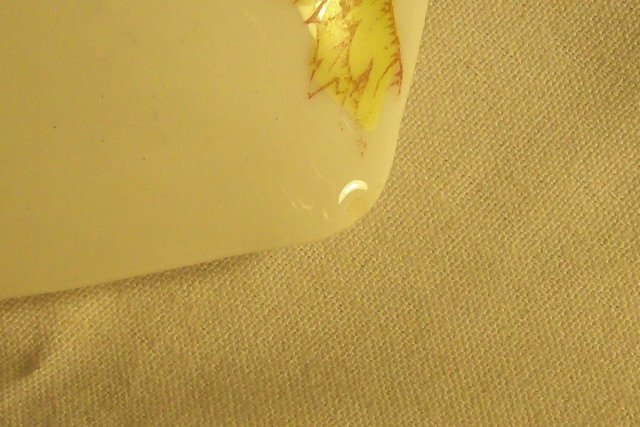 No damage, but has one very small glaze skip at the corner of the lid as shown. Inglenook Antiques...Established 1989. 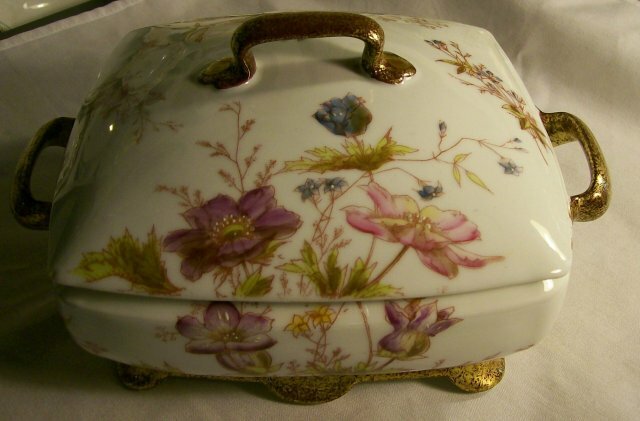 Items Similar To "Gutherz Limoges Porcelain Covered Bowl w/Lid 1880s-90s 8"Sq Flora..."